Every era has a different feel about it which no one forgets. One such amazing time for fashion was the retro era, filled with unique ways to express oneself with colours, patterns and looks. 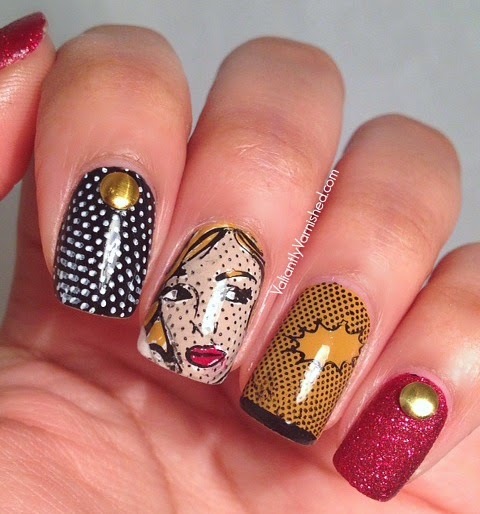 Bringing that golden era of the fashion world to life we have today compiled some gorgeous nail art designs inspired by the fun and fabulous retro times. If you have a thing for the fashion trends from the 1940s and 1950s, this is the one for you. 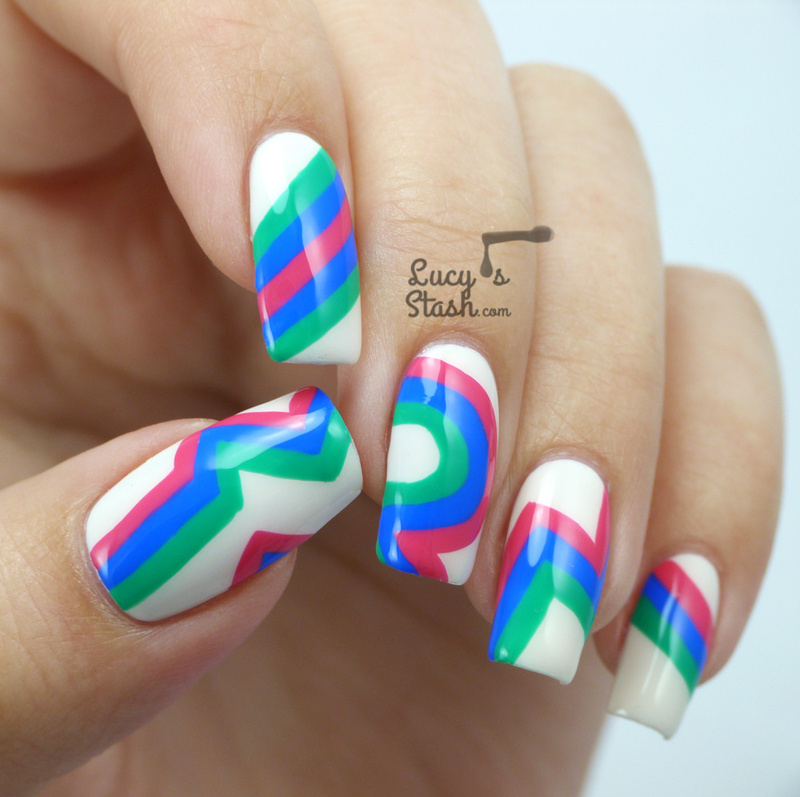 You will love these bold, bright eye-catching graphics transformed on the little canvases called your nails! Have a look and try these! It’s not retro if it doesn’t have gold in it. 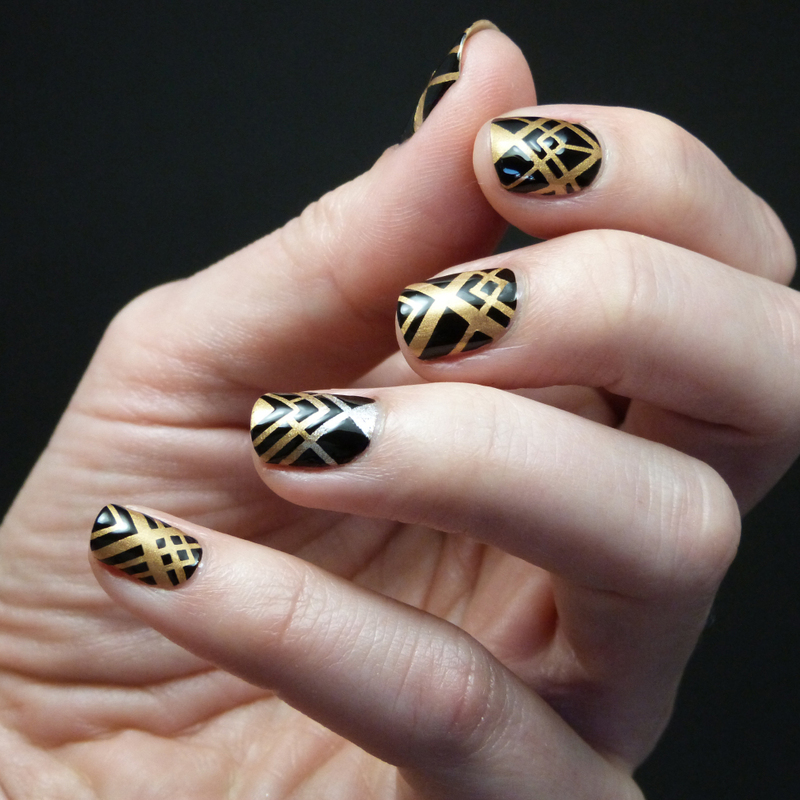 Get inspiration from the movie Great Gatsby and bring out that retro feels in your nails. A little art deco and a lot of bright bold hues with a perfect dose of bling. The 60s and 70s were all about the bling and it’s only natural to get some metallic shimmer into your vintage style nails. For the Love of shapes! Retro times were all about abstract shapes and geometric designs. Try out these patterns with a mix of bright colours to bring out your retro vibes. Mix and match with different base colours and bright colours for shapes. 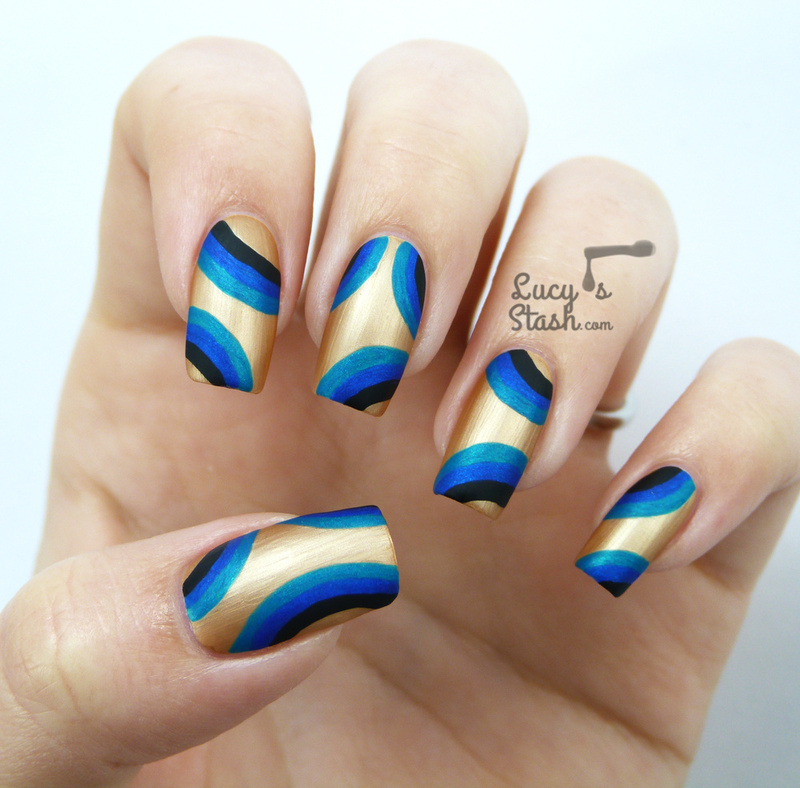 You can also use metallic shades to bring out your nails with that perfect retro vibe. Pop art and cartoon comics were quite a huge trend in retro times. 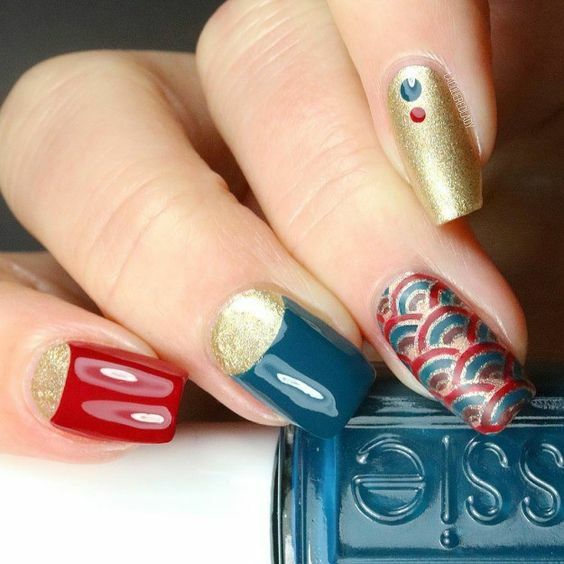 Flaunt it on your nails using water decals and stamps with the theme. 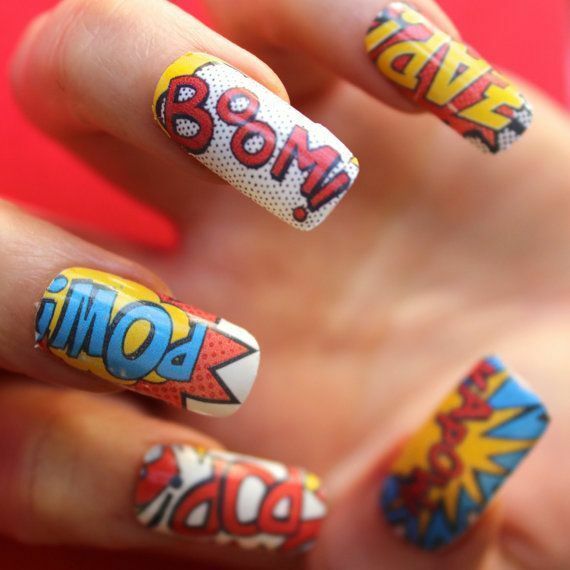 For the fun loving girl who loves bright colours and statement nails, pop art and comic-inspired nails are a must try. Candy-coloured stripes are like echoes of fun retro design in the style of pop art. 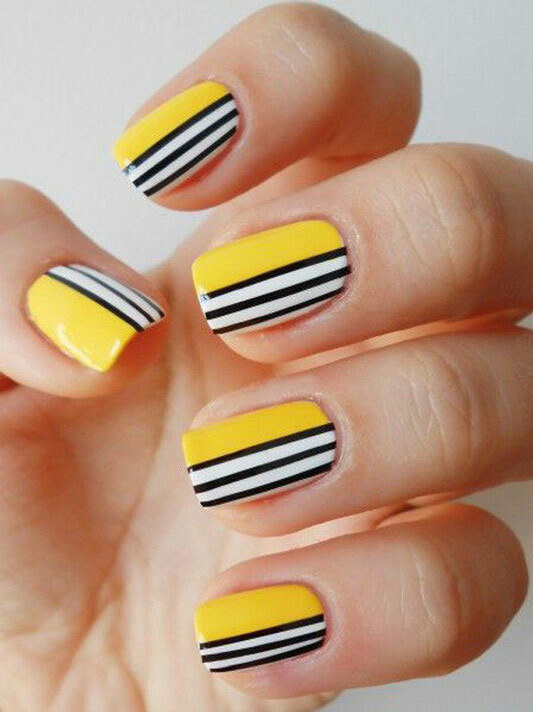 Colour contrast stripes visually lengthen the shape of the nails, so will suit all the girls without exception. 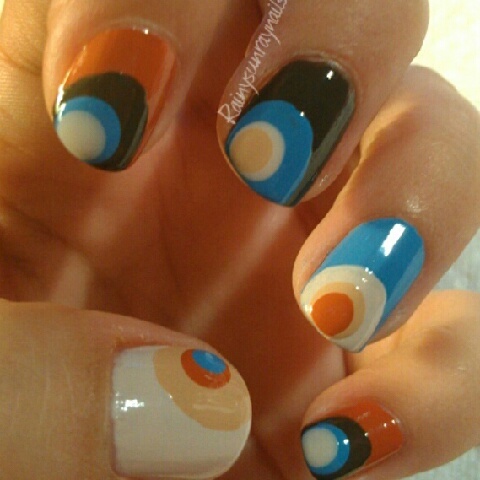 Adventurous persons, who do not like mediocrity and dullness, will appreciate this manicure. The main colour of nail polish is yellow, so choosing the clothing give your preference to harmony hue. 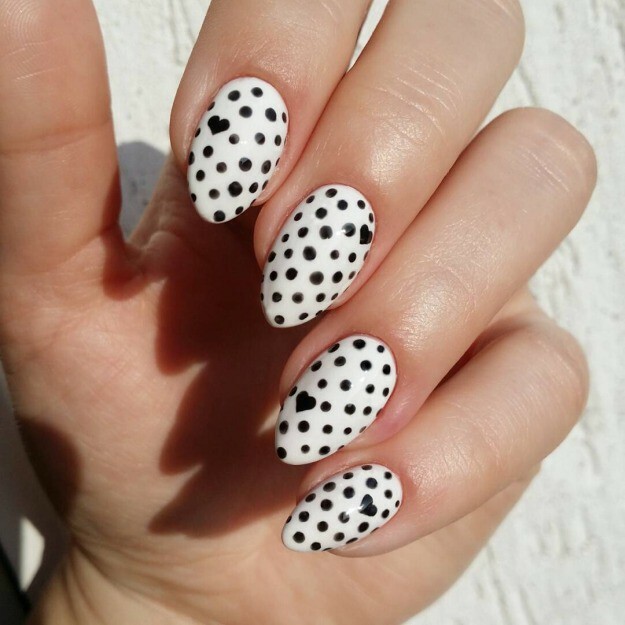 Polka dots, polka dots everywhere! 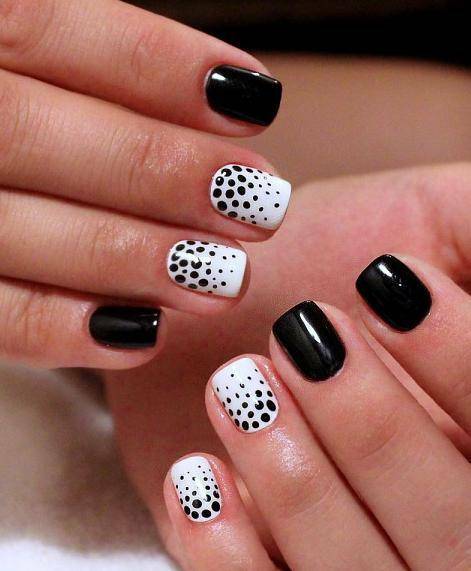 Black and white manicure on short nails looks impressive and elegant. The shine of dark covering shades light polish, that is decorated with patterns of dots. Circles of different sizes look shiny, voluminous, decorate the base. This design is appropriate for any holiday, especially when it is combined with a ceremonial dress, hair in a retro style and bright accessories. 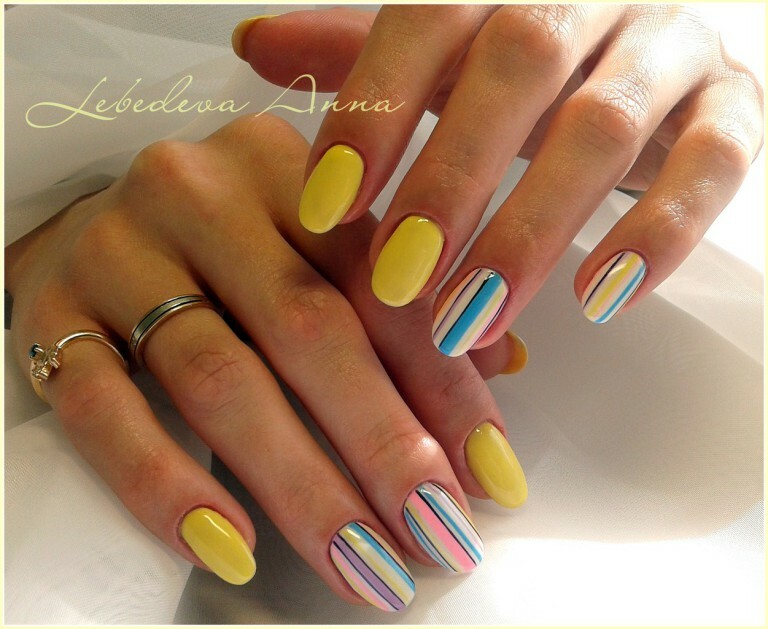 Luxurious manicure in retro style surprises with bright gloss, metallic effect and lines. Alternating of contrasting lines emphasizes bold design, beautiful play of surfaces. Burgundy shade of foundation is diluted with a pink varnish, perfectly combining with a dark background on the edges. 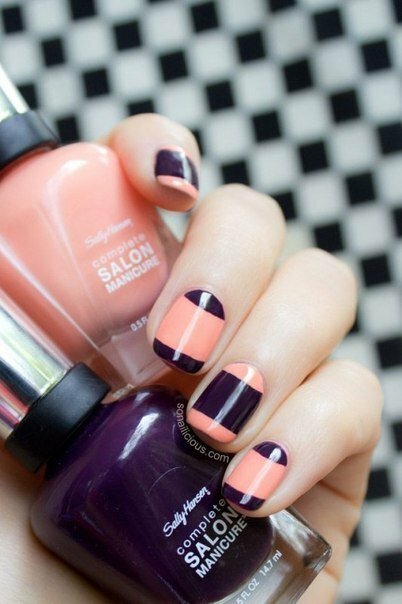 Short nails look bright and easy to combine with different styles of clothes and make-up. Will you try these? Love or hate, share your views about this trend in the comments below!